200011 BF115A, BF130A Honda BF115A, BF130A Outboard Motors Workshop (Service) Manual. Additional technical information for operation and repair. 200012 BF135A, BF150A Honda BF135A, BF150A Outboard Motors Workshop (Service) Manual. Additional technical information for operation and repair. 200013 BF15D, BF20D Honda BF15D, BF20D Outboard Motors Workshop (Service) Manual. Additional technical information for operation and repair. 200014 BF175AK1, BF200AK1, BF225AK1 Honda BF175AK1, BF200AK1, BF225AK1 Outboard Motors Workshop (Service) Manual. Additional technical information for operation and repair. 200015 BF20 Honda BF20 Outboard Motors Workshop (Service) Manual. Additional technical information for operation and repair. 200016 BF20, BF2A Honda BF20, BF2A Outboard Motors Workshop (Service) Manual. Additional technical information for operation and repair. 200017 BF200A, BF225A Honda BF200A, BF225A Outboard Motors Workshop (Service) Manual. Additional technical information for operation and repair. 200018 BF20A, BF25A Honda BF20A, BF25A Outboard Motors Workshop (Service) Manual. Additional technical information for operation and repair. 200019 BF2D Honda BF2D Outboard Motors Workshop (Service) Manual. Additional technical information for operation and repair. 200020 BF30A Honda BF30A Outboard Motors Workshop (Service) Manual. Additional technical information for operation and repair. 200021 BF35A, BF45A Honda BF35A, BF45A Outboard Motors Workshop (Service) Manual. Additional technical information for operation and repair. 200022 BF40D, BF50D Honda BF40D, BF50D Outboard Motors Workshop (Service) Manual. Additional technical information for operation and repair. 200023 BF50, BF5A Honda BF50, BF5A Outboard Motors Workshop (Service) Manual. Additional technical information for operation and repair. 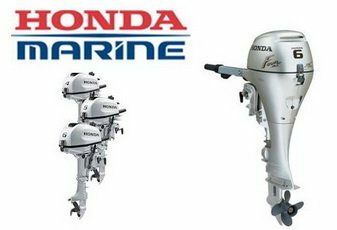 200024 BF60A, BFP60A Honda BF60A, BFP60A Outboard Motors Workshop (Service) Manual. Additional technical information for operation and repair. 200025 BF75, BF100 Honda BF75, BF100 Outboard Motors Workshop (Service) Manual. Additional technical information for operation and repair. 200026 BF75A, BF90A Honda BF75A, BF90A Outboard Motors Workshop (Service) Manual. Additional technical information for operation and repair. 200027 BF75D, BF90D VOLUME 1 Honda BF75D, BF90D VOLUME 1 Outboard Motors Workshop (Service) Manual. Additional technical information for operation and repair. 200028 BF8D, BF9.9D, BF10D Honda BF8D, BF9.9D, BF10D Outboard Motors Workshop (Service) Manual. Additional technical information for operation and repair. 200029 BF9.9A, BF15A Honda BF9.9A, BF15A Outboard Motors Workshop (Service) Manual. Additional technical information for operation and repair. 200030 BFP8B, BFP10B Honda BFP8B, BFP10B Outboard Motors Workshop (Service) Manual. Additional technical information for operation and repair. 200031 BFP8D, BFP9.9D, BFP10D Honda BFP8D, BFP9.9D, BFP10D Outboard Motors Workshop (Service) Manual. Additional technical information for operation and repair. 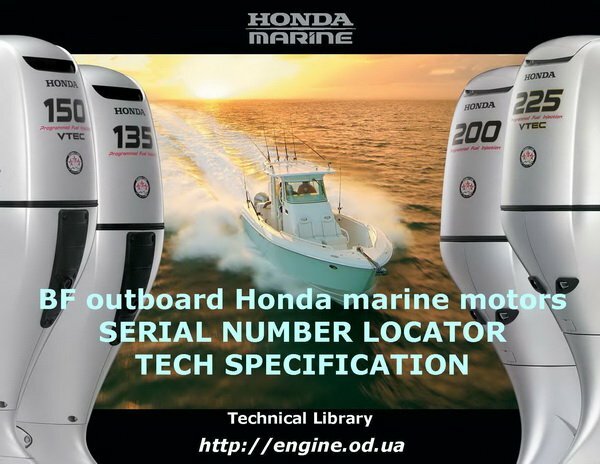 Honda BF outboard engines serial number location and data. Free download.